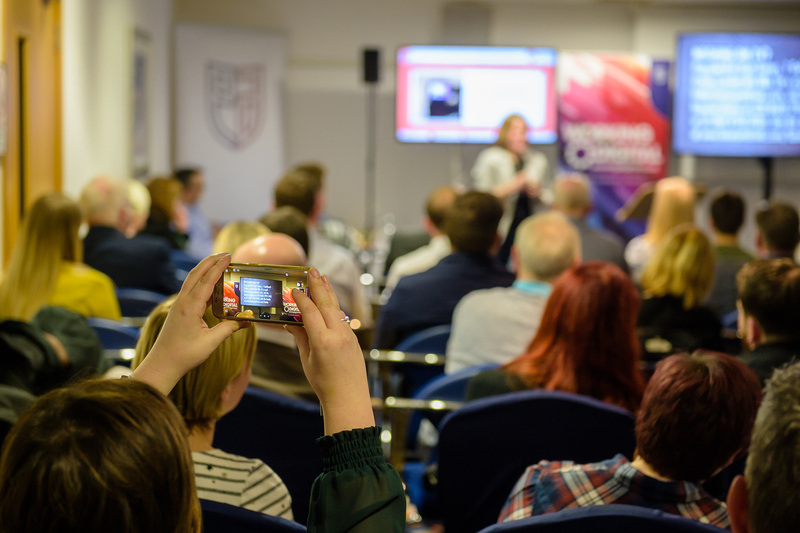 Our Exclusive videos and other online content will appear here before, during and after Working Digital 2018 including all the speaker presentations. A huge thanks to US Digital Marketing guru Jay Baer for taking the time to create this exclusive Working Digital welcome message, and providing some seriously good advice for all organisations to stand out in a crowded digital market – “Dare to be Different!”. Day 1 was a huge success with over 100 businesses attending to hear from the likes of Alan Stewart from Ofcom, Gillian Reith from Three Sisters Bake, and our keynote for the night – Helena Langdon from Innocent Smoothies. A night of fascinating insight, and lots of laughs. Top takeaways included the need to be “human” in your social media activity, but be prepared to advertise if you need to “beat the algorithm”. Day 2 was another superb night, with just under 100 businesses returning to the Park Hotel to hear from Joanna Steele from Argos, Robert Gillespie from Swipii and Stephen Whitelaw from the future!. A mix of practical advice, and scary “gasps”.. Key concepts from the evening included “Community”, “Loyalty”, and “Convenience”, with particular attention given to the importance of customer reviews and personalisation. Here’s Colin with two special recordings of his podcast, summing up the key highlights from Working Digital. Did you miss him on Day 2? Don’t worry – the full presentation is here. With insights into Ratings and Reviews, Social Selling, Customer Avatars, Mobile Commerce, Gamification and more, Stephen Whitelaw will challenge the traditional nature of retail, and take you on a journey to the future of commerce (online and off), where digital engagement is key. We asked a few experts, and a few “non-experts” to share their top digital tips for better digital marketing. Here’s what they had to say! Over 140 professional photos from two amazing nights! Here’s all the photos taken across both days. These include all the speakers, and a few of the audience etc. In the spirit of Working Digital (sharing is caring!) we’ve decided to make all the photos available to everyone! All we ask is that if you use them anywhere public (like on a website, or social media etc) you credit East Ayrshire Council, and the event. 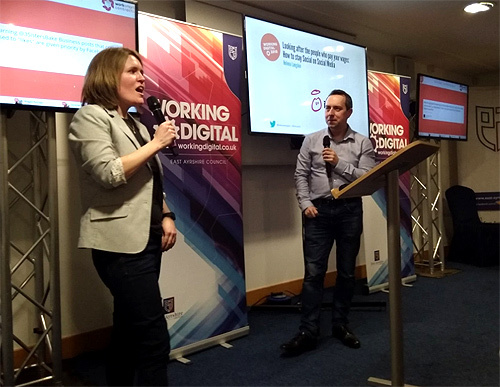 Eg: “Image Copyright East Ayrshire Council, taken at Working Digital 2018, Kilmarnock”. View the Photos on Dropbox. Thanks to Worksmart Contracts for supporting us.